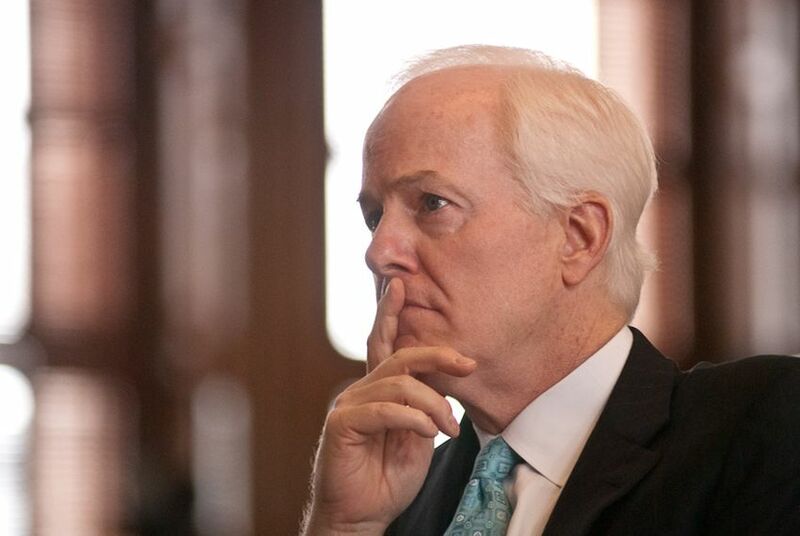 U.S. Sen. John Cornyn announced last week he will join a band of senators led by U.S. Sen. Lisa Murkowski, R-Alaska, pursuing a joint resolution of disapproval against the Environmental Protection Agency's recent greenhouse gas endangerment finding. When aimed at a government agency, a resolution of disapproval isn't just a collective scowl from the direction of Capitol Hill: it can block an agency ruling from becoming law. The Congressional Review Act of 1996, passed by Republican majorities in both houses and intended to allow the legislative branch to push back quickly against regulation, authorizes Congress to nullify an agency's regulatory decision 60 days after it receives a report of the finding. Cornyn and his Senate colleagues (and their counterparts in the House, led by U.S. Rep. Jerry Moran, R-Kansas) don't like the EPA ruling because it lays the foundation for the Clean Air Act's regulation of greenhouse gases, which would hurt economic growth, according to opponents. They could choose to propose preemptive legislation, but that's not strategic because even with 41 votes now in the Senate, Democrats could easily filibuster the bill or kill it in committee. Under the CRA, Murkowski's resolution has the advantage of being filibuster-proof, but that's about it. If it gets through both chambers (not easy, as Democrats control the House), the president still has to sign off on it. And the Obama administration is a serious roadblock for any pols hoping to derail the EPA's endangerment finding, said environmental attorney Richard Faulk, who chairs the litigation department of the Gardere law firm. That's why Faulk said he sees the resolution "as more of a political move than something that's realistically going to change anything." Because it has to get past the president, a transition between administrations —where a newly elected executive wants to do away with rules passed by his predecessor — is when a resolution of disapproval has the best chance at survival, according to Veronica Stidvent, director of the LBJ School's Center for Politics and Governance. The only resolution proposed under the CRA to successfully undermine an agency ruling emerged under those circumstances in 2001. When George W. Bush took office, he signed a resolution passed by the GOP-controlled Congress against an ergonomics rule that restricted repetitive stress associated with physical labor, issued by the Clinton Labor Department. A review of legislative records since 1996 shows that Congress has seen almost 50 different resolutions of disapproval under the CRA — seven of which targeted EPA rules.